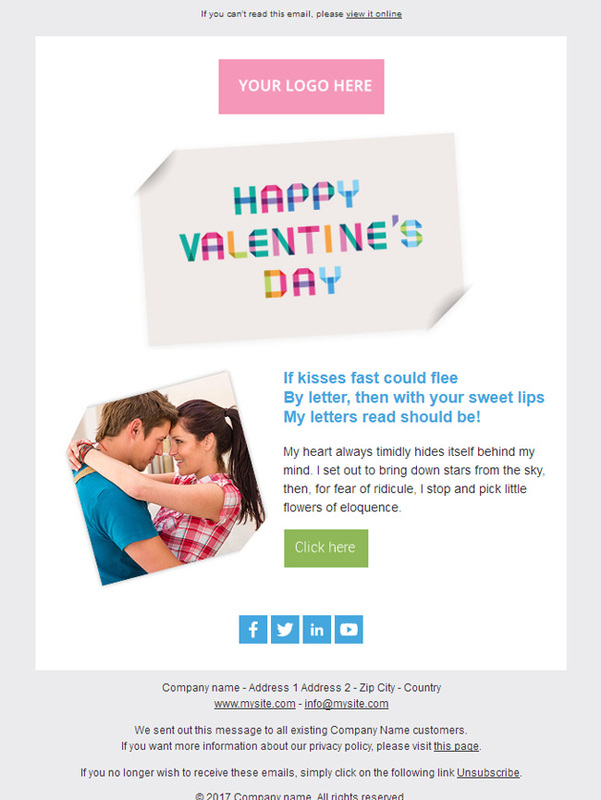 So it’s Valentine’s Day again! 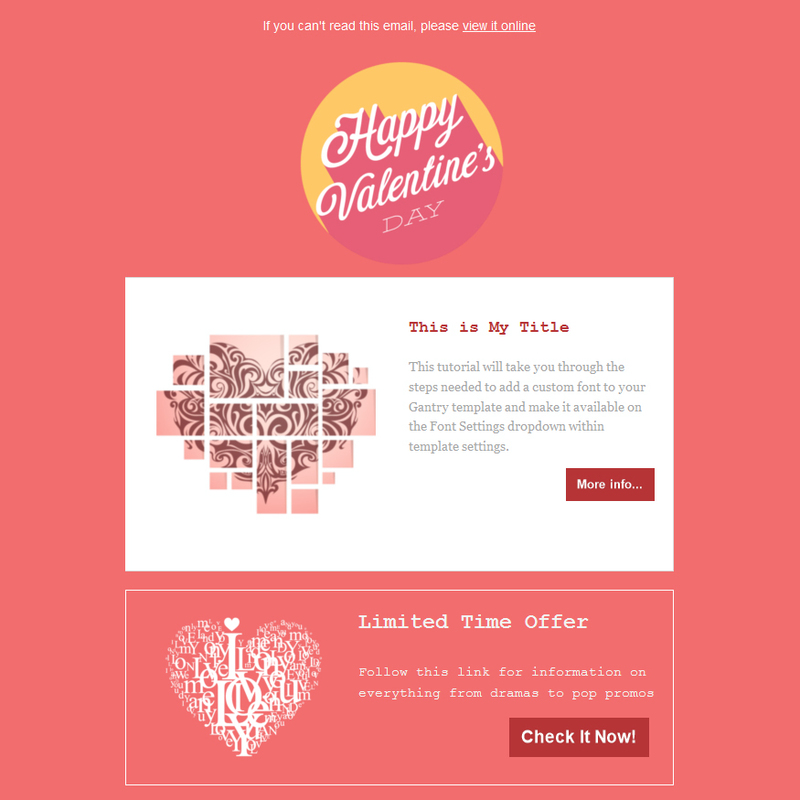 Are you willing to spread a little love (and some great promotions) to your subscribers with a lovely Valentine’s Day email template? 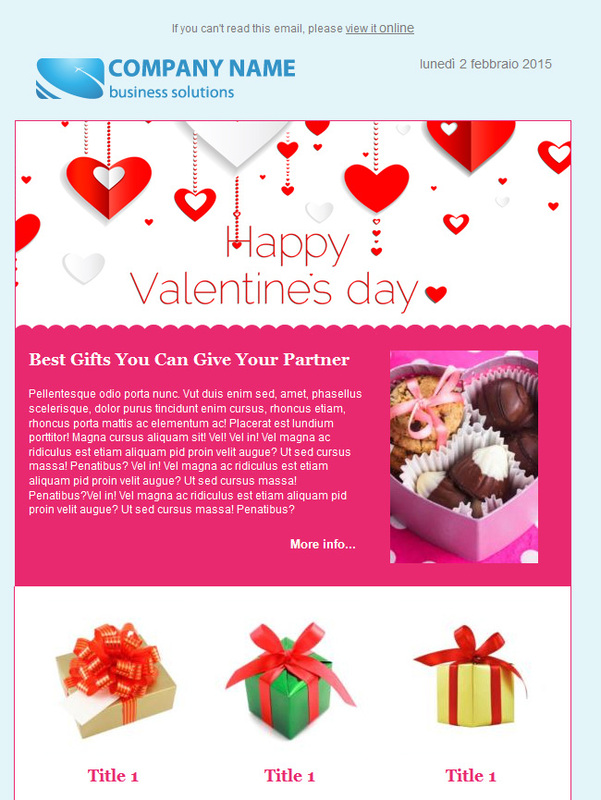 According to recent statistics Valentine’s Day is the second-biggest card-giving day after Christmas. It’s definitely the right time of the year to show customer appreciation and to remind them what you have to offer. 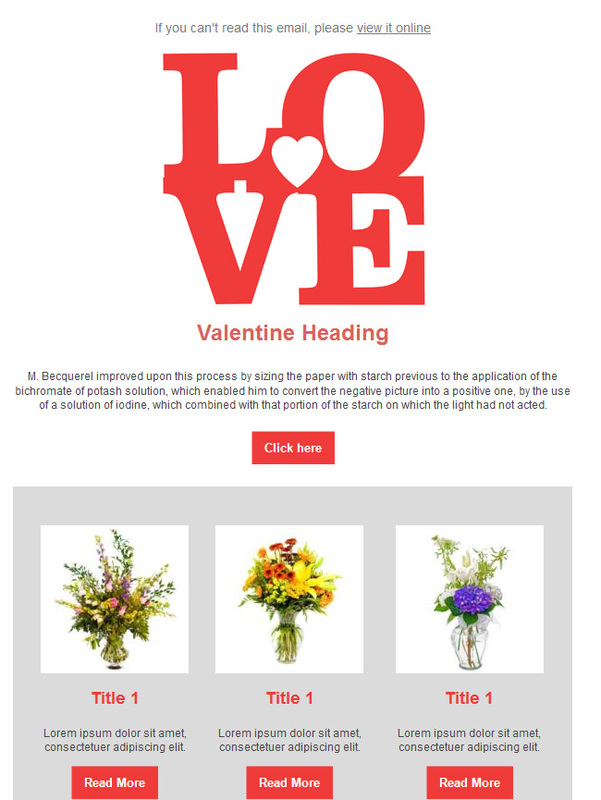 To help you make it easier, we’ve created a collection of 10 Valentine’s Day Email Templates – including 13 responsive email templates – that you can grab, easily customize and send with SendBlaster. 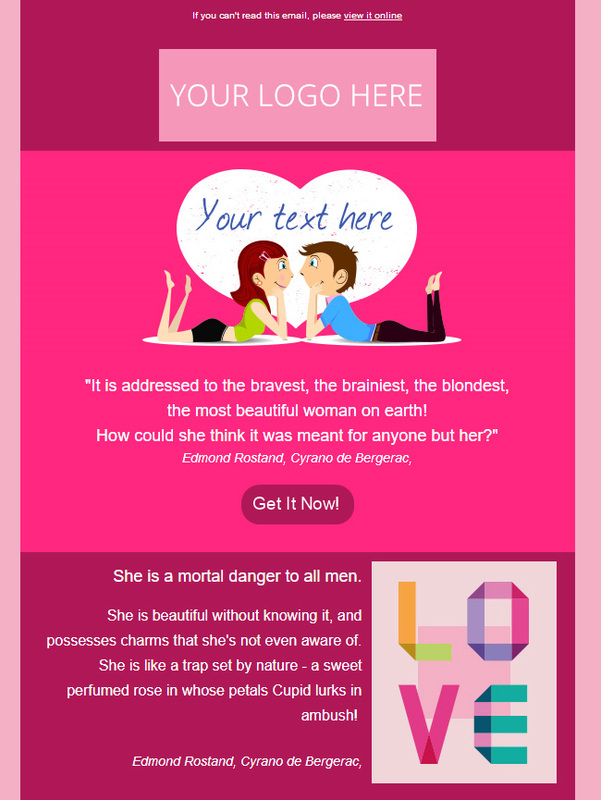 ..and finally send your custom Valentine’s email out to your recipients! 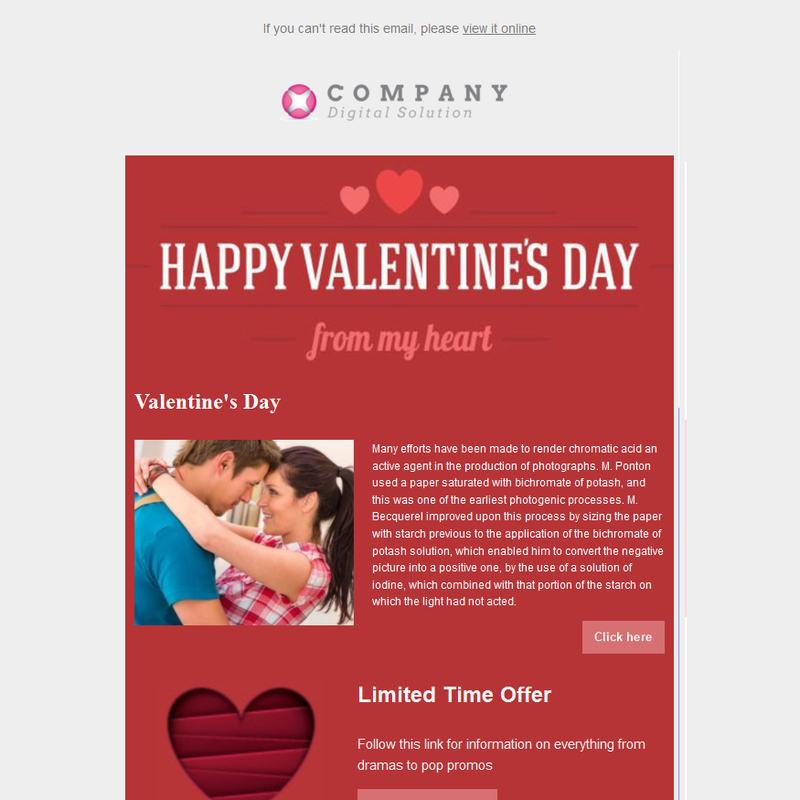 Do you want to get the most out of your Valentine’s Day email templates. 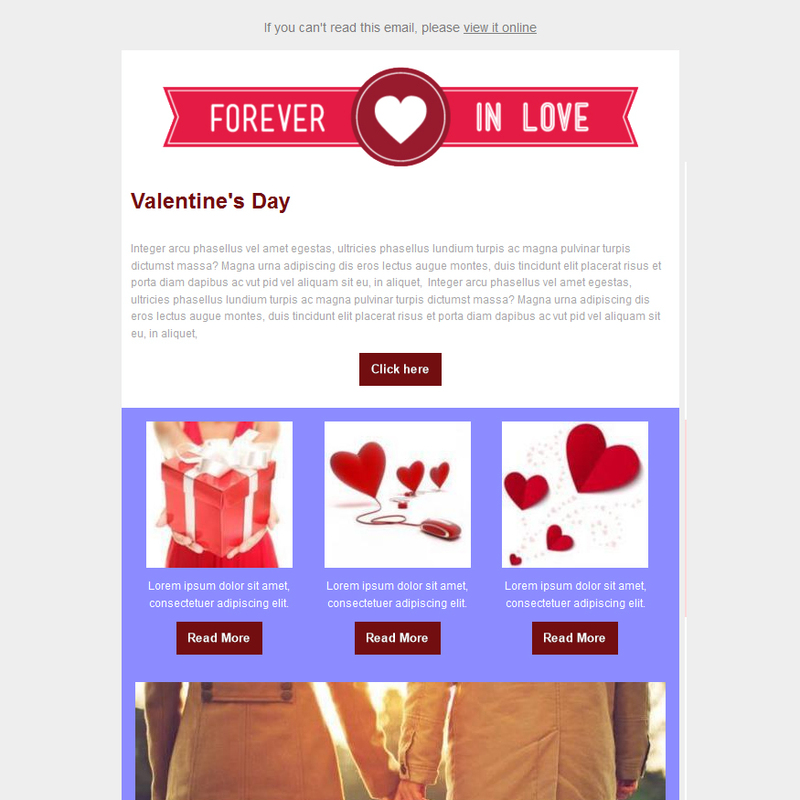 Do not miss these 13 responsive email templates created with MailStyler – the brand new newsletter creator that allows you to build professional templates without writing a single line of code! 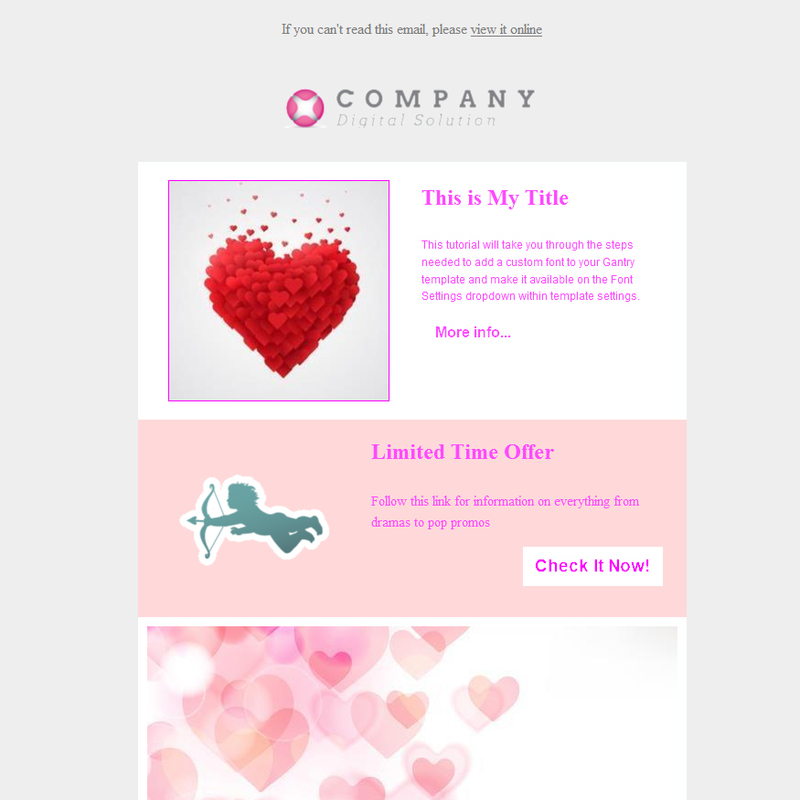 You can download the whole set of templates and customize them directly on MailStyler. 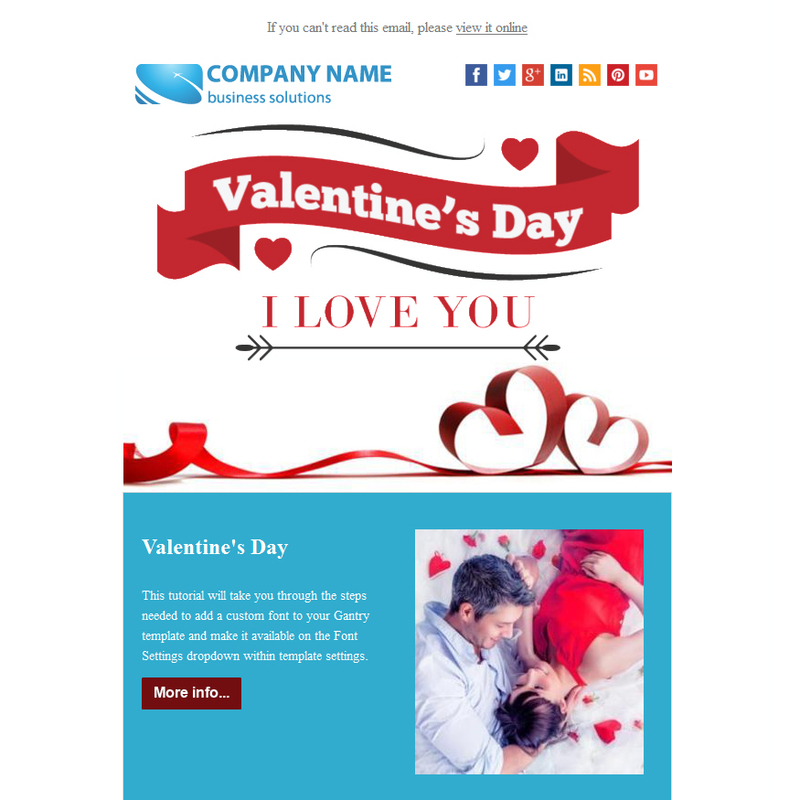 Feel free to add or remove blocks, edit styles, change colors and fonts with a simple series of drag and drops, Once you have finished, you can simply export your customized template as .eml or .html file into SendBlaster (or any into other email marketing software). 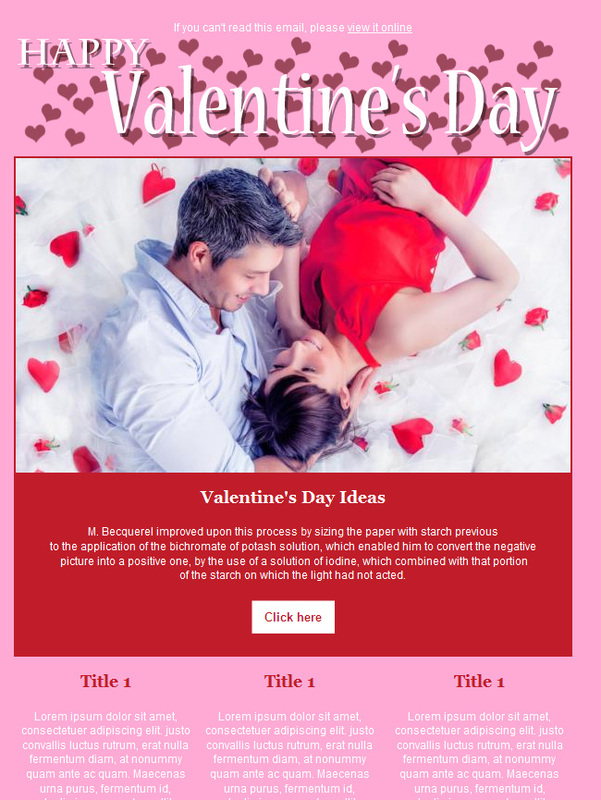 Each template comes with two formats: “.eml” and “.mailstyler”. 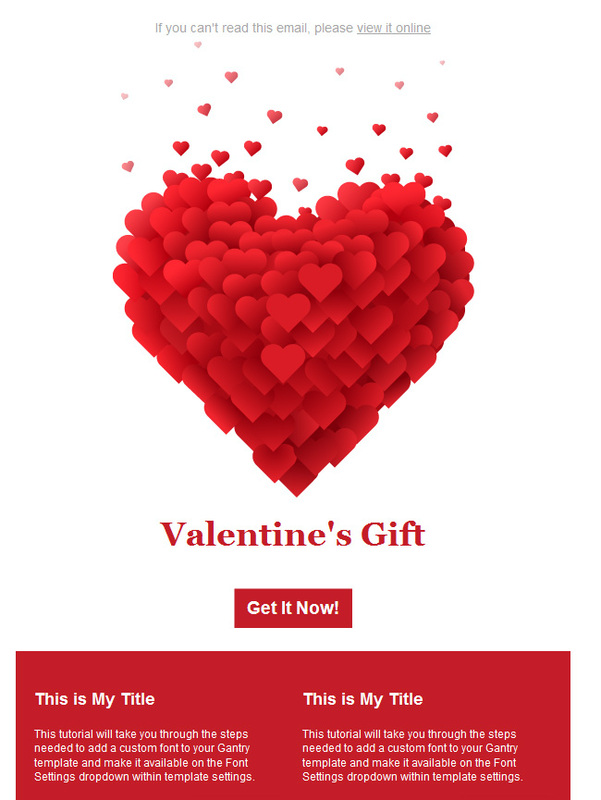 Please note that .mailstyler templates can be opened (and edited) only with MailStyler. 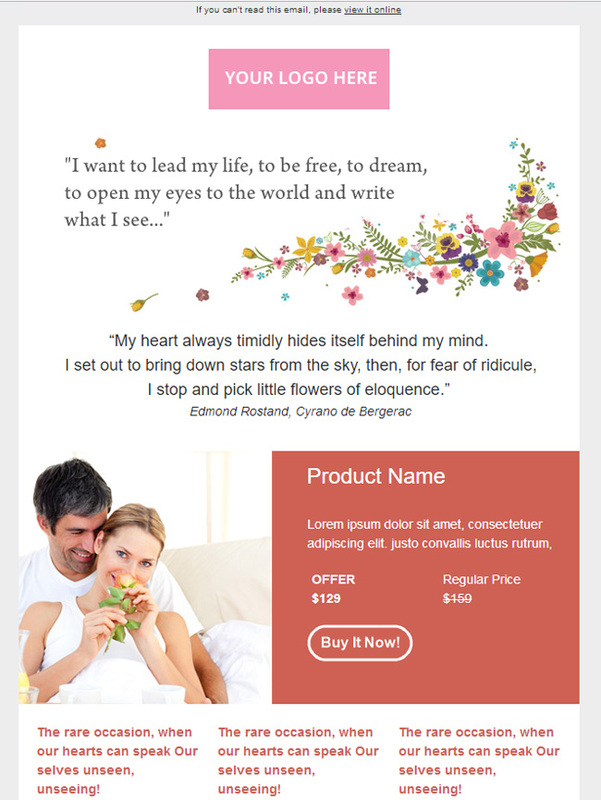 If you still do not have MailStyler installed on your PC, download and configure it now. 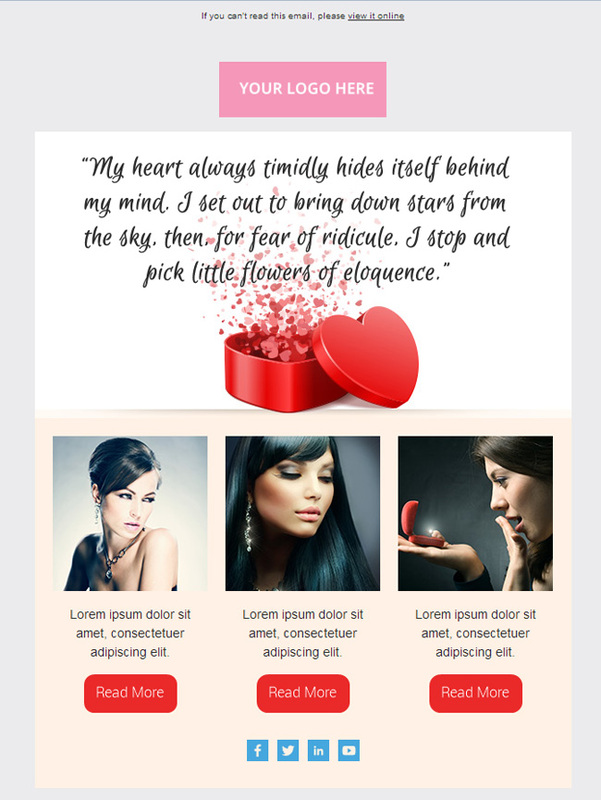 You will see how easy and fun is to create stunning newsletters in few seconds.